Carmen was admitted to the Bar of Amsterdam in 1992. She has worked as an international corporate lawyer with law firms in The Netherlands, United Kingdom, Singapore and India. Carmen was appointed as a judge in The Netherlands. Carmen’s background includes working in male-dominated jurisdictions in a corporate environment. In India, she was involved in a project regarding sexual harassment in the workplace from an European regulatory point of view. The purpose of the project was to create a Code of Conduct. Carmen strongly believes in legal empowerment which is the process of increasing the capacity of people to exercise their rights as individuals or as a group. 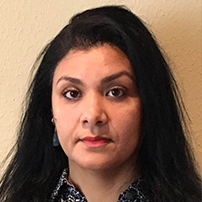 At present she is an of counsel with a law firm in Houston specialized in capital defense and she advises on several projects regarding legal empowerment as a way for people to change their own ecosystem for the better.